Ombré chrome gel manicure by Nargis Khan at Tips Nail Bar on client Eisee Sylvester. 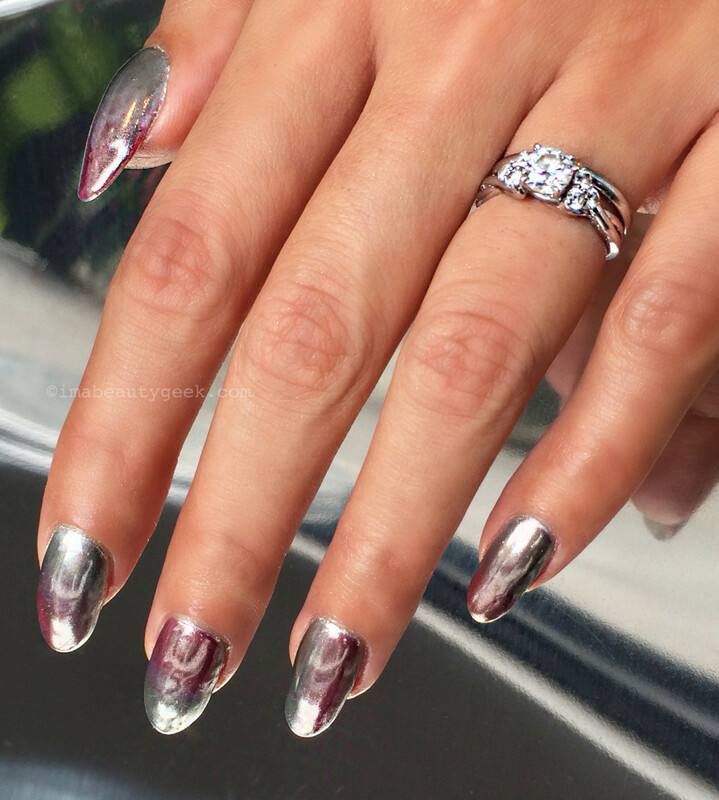 Like everyone else, we at Beautygeeks are somewhat obsessed with the mirror chrome mani. 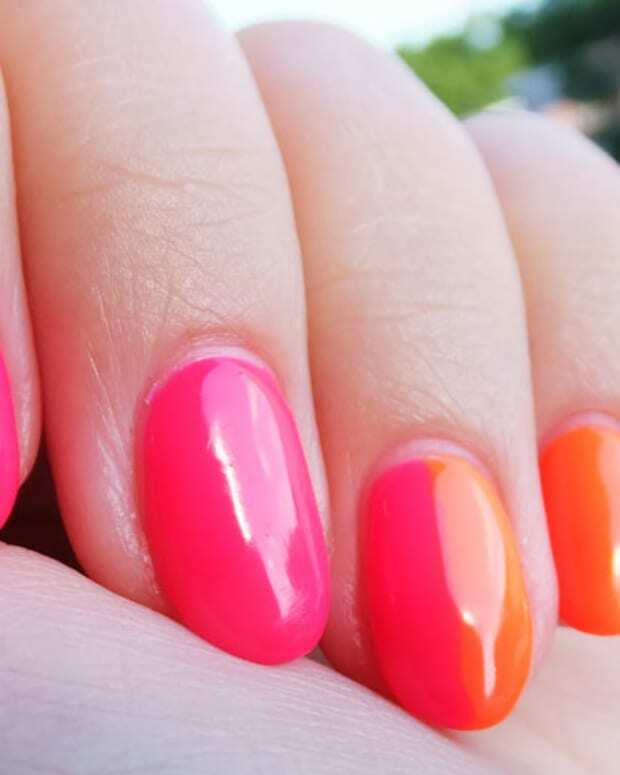 You caught our ManiGeek&apos;s recent Best Chrome Polish post, right? But for us this chrome-tastic nail craze is about more than just polish – it&apos;s about the gel manicure version, because with a finish this spectacular, you want it to last. In a chrome mani, the mirror shine comes from sparkly metallic polymer pigment buffed over what&apos;s essentially a gel-mani base. A black base makes the chrome pop; white works too; and fuchsia under the silver chrome = rose gold. Fun, right?? 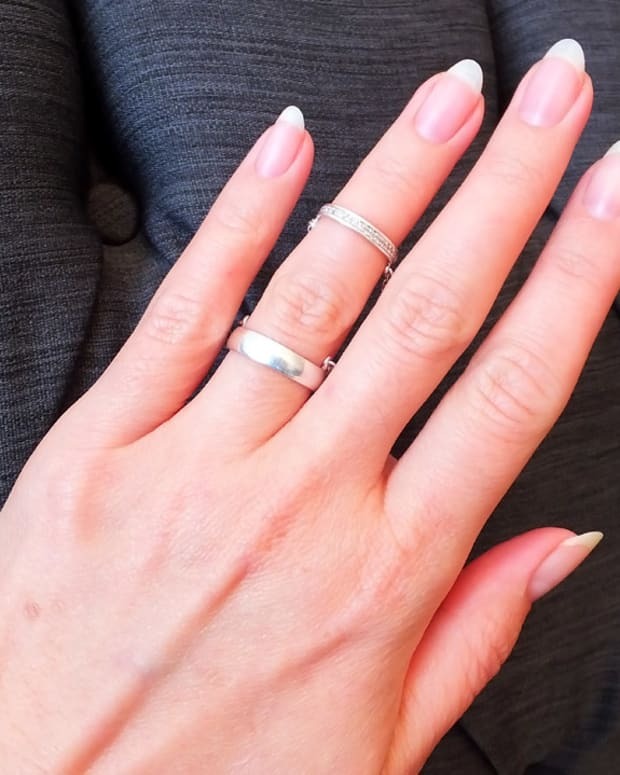 A couple of months back we popped by our fave mani mecca, Tips Nail Bar in Toronto, to watch owner and nail guru (we don&apos;t use that term lightly) Leeanne Colley in chrome-gel-manicure action. At the time, Leeanne was working on a technique to deliver a chrome mani that would last more than a paltry 24 hours. Now she and her amazing team has hit on a system that results in a mirror chrome gel mani that holds up for about two weeks. 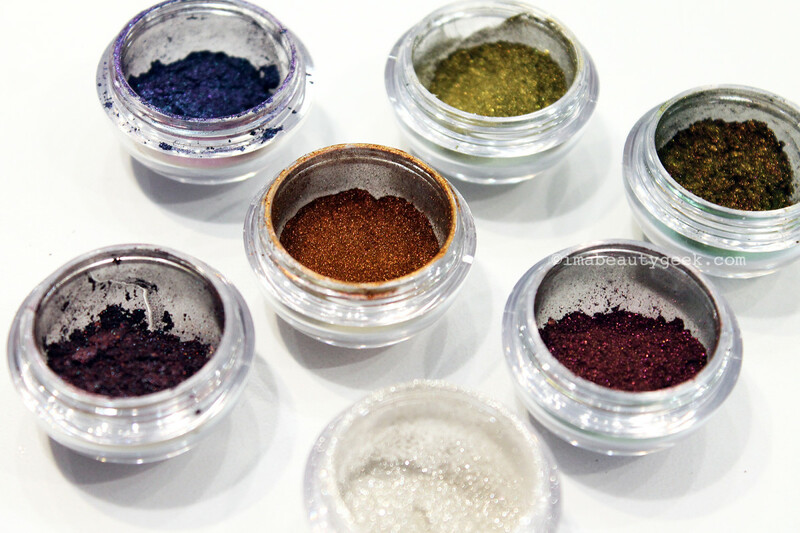 The ultra-fine pigment does tend to fly a little during the application process; resign yourself to an incidental dusting of fairy shimmer on your hands during your appointment. Think of it as part of the magic. Note: Leeanne and her team buff on just a tiny bit of the mirror chrome powder at a time. Using a generous amount just makes for more mess and wastes the pigment. 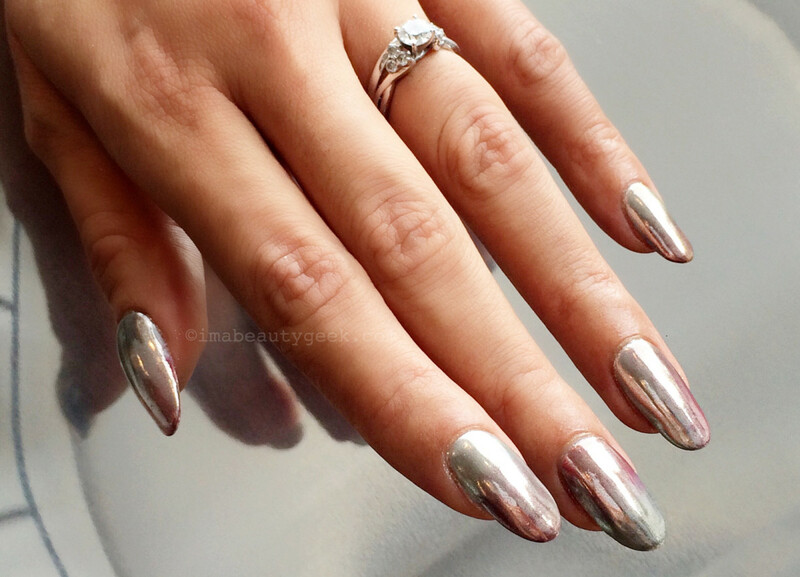 Have you had a chrome mani yet? You thinking about it? Straight-up chrome or ombré? Silver or coloured? Or are you waiting for holographic mirror chrome? ?